While some European veal is still produced in very unethical ways, British rose veal treats the young cows humanely. Plus let’s face it: if you’re drinking milk then the dairy industry is going to have left over young male calves they’re going to slaughter, so we may as well not waste them. 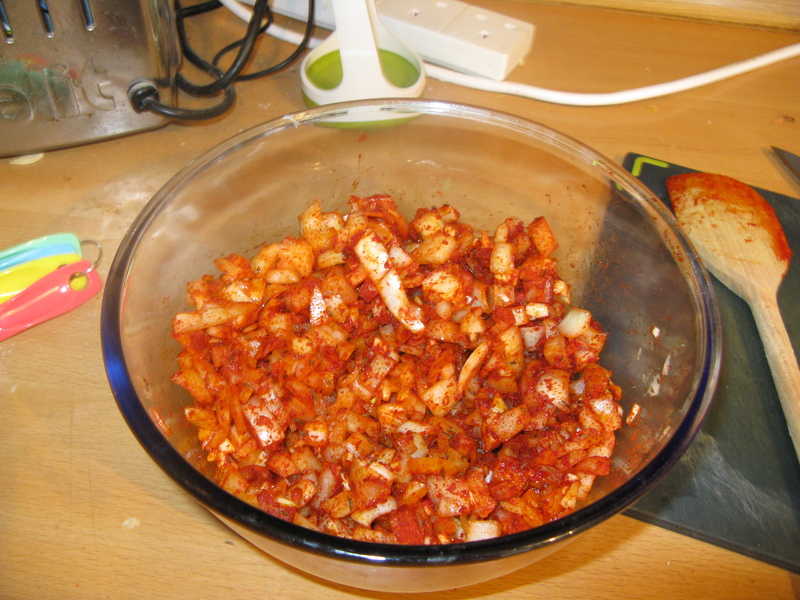 The onion, paprika, oil, tomato purée, garlic & caraway get mixed and microwaved to soften the onions and bloom the spices: about 3 minutes. 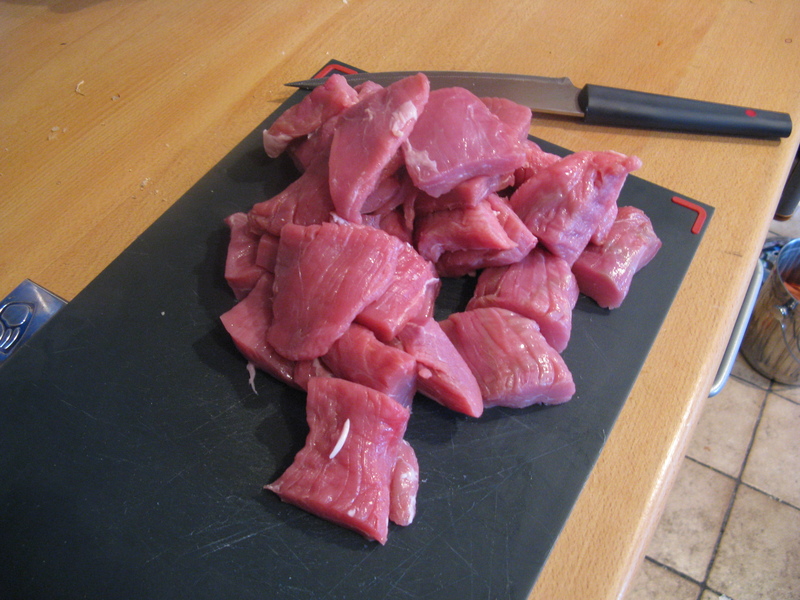 The veal is cut into about 6cm pieces. Stock, Worcestershire sauce, cornflour (shaken with water first) and bay leaf go into the slow cooker, then the onion mix, then the veal, and it all gets mixed up. This then cooks for 9 hours on low before being served with homemade tagliatelle, french beans, and Hungarian Kifli bread. It’s then topped with half fat crème fraîche and more sweet paprika sprinkled over the top. It all worked really well together, but I guess somewhat unsurprisingly it wasn’t spicy enough for us! If I did it again I’d add some cayenne pepper to the mix. A great recipe I can’t wait to try out. 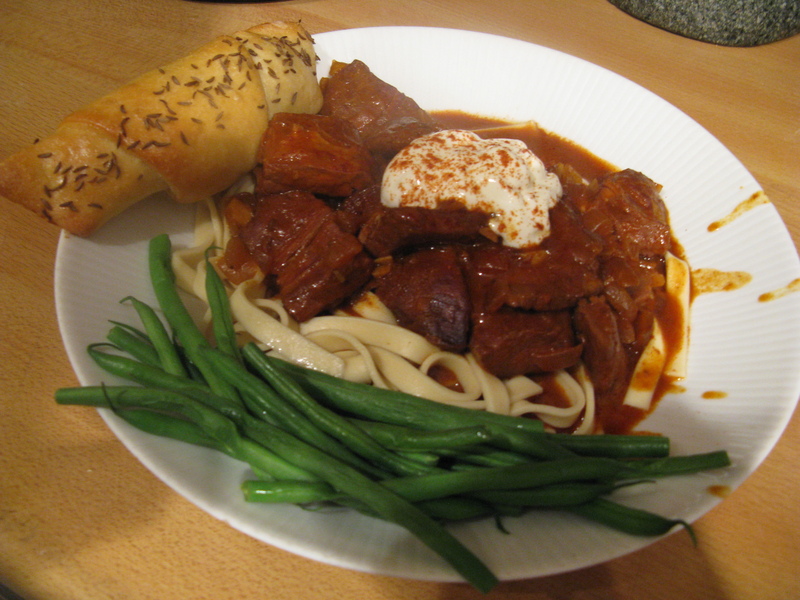 I love Goulash and those adventurous enough to try it! I wish more would. 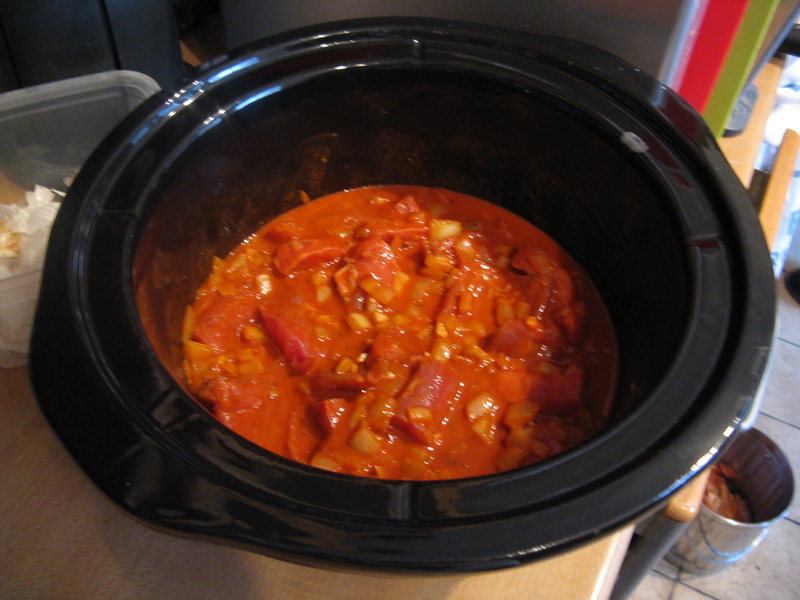 I came up with my own version of a Hungarian Goulash. While different from your own, I think mine is a unique take on the dish. I’m new to the Food Blog scene and would love some feedback from a pro like you. Check out my recipe if have time. I’ve been wandering around your blog and those almond lace cookies look amazing, I’ll certainly be giving them a try!